Here's a carefully picked bunch of hamster wheels from some of the UK's leading pet suppliers. Our top tip, if you want a good night's sleep, is to choose one from the 'Silent Spinner' range! Enjoy. It is in the hamster's nature to run. If you notice, they just love to run until they literally cannot run any more! If you have a pet hamster, then you probably know that they need a lot of exercise. It is for this reason that hamster wheels are a great addition to any hamster cage. Here are some popular hamster wheels that you can choose from. The Superpet Comfort Wheel measures 8.5 inches in diameter. 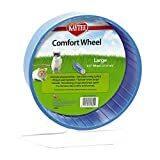 This is good for Syrian hamsters as they can be too big for the smaller wheels. This type is also great value for money and can be optionally attached to the cage. The Superpet Silent Spinner comes in various sizes from 6.5 inches to 12 inches. This hamster wheel has ball bearings so that the wheel will stay noise-free. The Super Pet Silent Spinner can be free standing or attached to the bars of the cage. A popular and quiet choice! 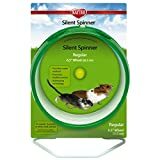 The Reg Silent Spinner Wheel is another popular choice on Amazon. 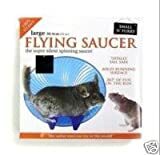 It's one of the most quiet hamster wheels available and can either be attached to a cage wall or freestanding as it comes with it's own stand. There are some points to consider when buying a hamster wheel for your furry friend. The first thing to consider is the running surface. The running surface must be solid so that your hamster can't get their feet caught in any gaps! Different hamster wheels can be positioned according to their design. Some are designed to be attached to the inside of the cage and some are freestanding, meaning they can be placed anywhere. Wheels should either be safety-enclosed or fully open so that your hamster can't get caught or trapped. The next thing that you should take into consideration is the sound that the wheel makes. Sometimes there are hamster wheels that can be very noisy and irritating! Hamsters are nocturnal so their wheel will be in use mostly at night. A noisy wheel might just end up keeping you awake. If your hamster wheel does start to squeak you can always check the manufacturer's instructions that came with it. A little drop of oil at the right place can always help! 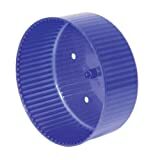 Hamster wheels are available in a number of different sizes from small to large. You should think about the size of your cage and hamster when choosing the wheel. A large hamster will need a large wheel so there's plenty of space inside it. 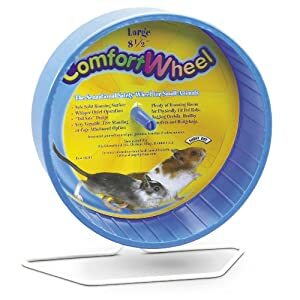 Remember that a wheel can never be too large for your pet hamster. Hamster wheels can be made from either steel or plastic. Plastic wheels are considered to be safer as there's generally no gaps between the rungs of the wheel. A steel wheel is more likely to have gaps in that your hamster may get caught up in. 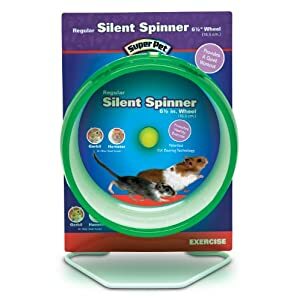 Whilst some hamster owners will tell you that their plastic hamster wheel gets chewed, this can be easily avoided by providing the right sort of toys, accessories and diet to help satisfy a hamster's chewing instinct. Remember that quite often you get what you pay for. Some very cheap hamster wheels might be unsafe, noisy and squeaky. That doesn't mean there's no bargain out there - just be sure to do some 'wheel' research! It's important to remember that hamster love to run and need exercise to stay healthy and happy. 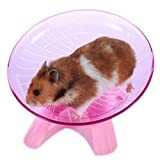 A hamster exercise wheel is the perfect solution and will also provide you with hours of fun as you watch your hamster run like crazy! 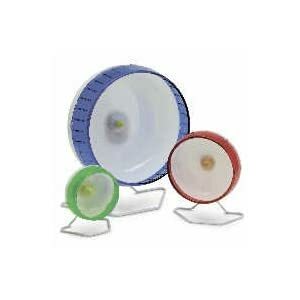 Remember you can always visit one of our sister site for an even bigger selection of hamster wheels.